Do you fancy stocking our goods in your deli, butchers or farmshop? We are always very happy to hear from everyone. And in particular other independent family run set ups, together we can give the Great British public an even better product and service. Our award winning range of sauces, chunteys, chilli jams and rubs are ideal for stocking your shelves. Our unique range of flavours with influences from around the world offer something different to the usual condiments and spices currently on the market. We also have an extensive gift range which make great gifts, especially around Christmas time. 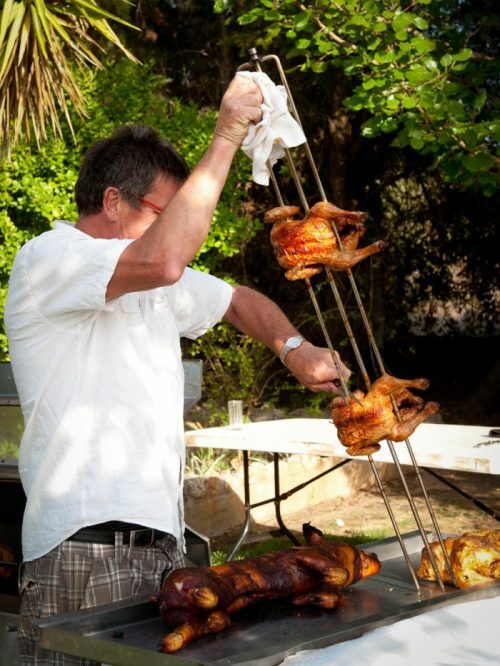 We’re not just about barbecue either. Our Mulled Syrup and Mulled Wine Kits are some of our best sellers around the festive period. We will try and accommodate any order, no order is considered too big or too small*. All your details would feature on our stockists page. Support local, support handmade and be proud of supporting small business. Are you the proud owner of an eating establishment? Maybe you run a restaurant, pub, street food stall or café…? Are you looking for new ideas for your menus? Or new ingredients to play with? Well Smokey would love to work with you! 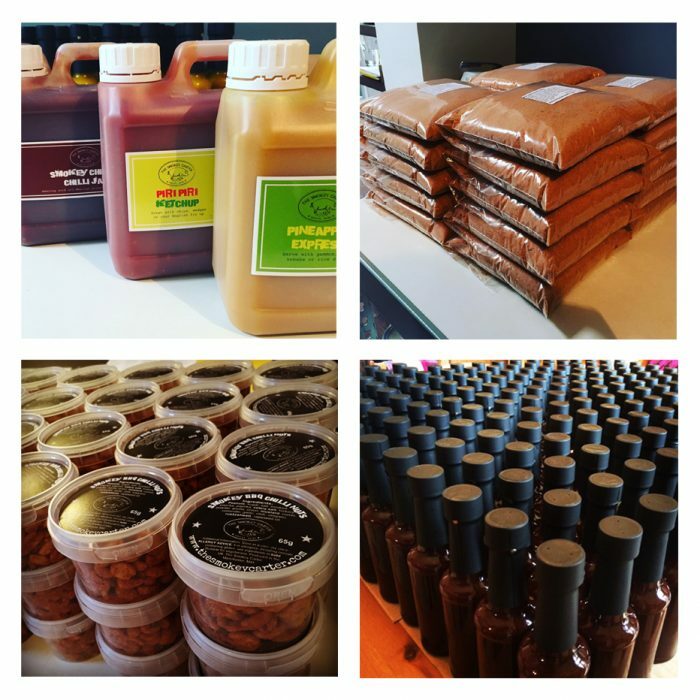 We currently work with a number of restaurants and event caterers, supplying them with a our range of BBQ rubs and sauces. 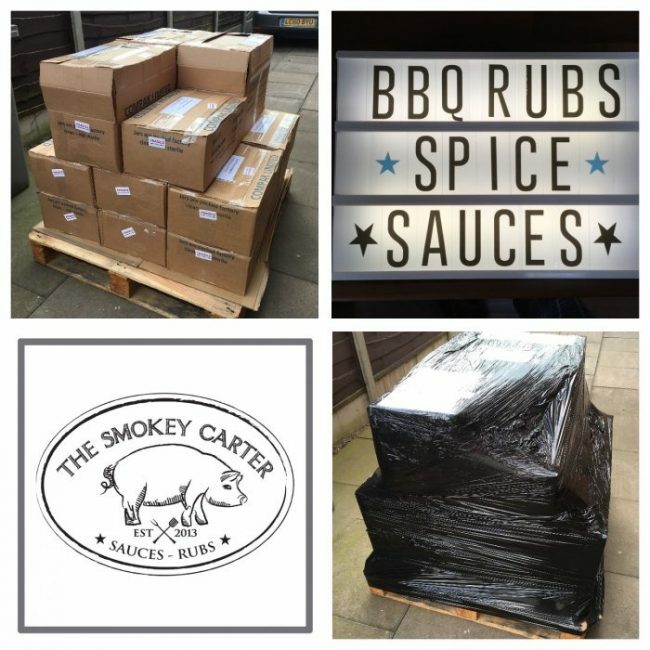 We can offer our range of 12 different spice rubs in catering packs from 1kg and upwards. 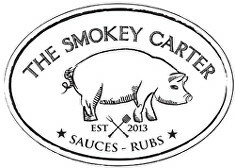 Our range of sauces are available in 2.5 and 5 litre catering tubs. Our competition style barbecue rubs are also perfect for competition barbecue teams competing in many of the events held around world.